We’re excited to announce that Keller Williams Realty International, the largest real estate franchise company in North America, is going Google. We sat down with Jason Tang, Executive Director of Technology, to learn about what drove the move and what they’re looking forward to. See what other organizations that have gone Google have to say. Can you tell us about Keller Williams and your decision to move to Google Apps? 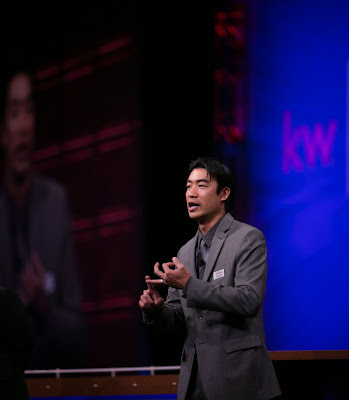 Keller Williams is the largest real estate franchise company in North America. We have 200 employees in our Austin, Texas headquarters and support 90,000 agents across our 670 franchise locations throughout the U.S. and Canada. Having a central corporate team and a vast network of independent associates puts us in a unique position from an IT standpoint: we’re responsible for making decisions that help both our internal employees and our agents in the field, whose day-to-day roles differ quite a bit. Our path to Google Apps was driven by two immediate features both groups needed: a better email platform and a more integrated calendar system. We ran on-premise Microsoft Exchange in our headquarters and a separate system built on an open source platform for our associates. It was an antiquated solution, to say the least. We evaluated Google Apps and Microsoft Office 365, and what clinched it for Google Apps was the future we saw with it. At the 80,000-foot view, our decision wasn’t just about solving our two biggest problems today, but about innovating for the years ahead. We’re betting on a great platform that we know will only get better. Real estate agents are always on the go. How did mobile play into your decision to use Google Apps? Mobile, mobile, mobile is our rallying cry. Our agents don’t succeed sitting behind a desk, and when it comes to mobile apps, they want it to “just work” – whether they’re using a smartphone, tablet, or laptop. We’ve spent plenty of time imagining a typical day once we’ve got our associates on Apps. Let’s say an agent and her office team receive an email from a client asking to schedule a showing. The office team sets up an appointment in Calendar for 4:00 p.m. that afternoon. The agent, who is out showing properties, gets an alert on her smartphone for the 4:00 p.m. meeting and shows up at the property at the appointed time. If the meeting changes to 5:00 p.m., no problem, she’ll get an instant alert on her smartphone. What’s more, the back-office team has already uploaded a video presentation of the property and the full disclosure packet to Drive. During the viewing, the agent can pull up the video and documents on her tablet to give a very polished presentation. That fact that this scenario can play out on whatever device our agents prefer is a game-changer for both us and them, and everyone wins. What excites you most about the future with Google Apps? What excites us most is the potential with Google Apps. Yes, we’re thrilled to roll out the core products, like Gmail, Calendar and Drive, with the help of Cloud Sherpas, and our employees and agents are thrilled to upgrade to a system they’re so familiar with. From where I stand, I see endless possibilities beyond the core products. I imagine agents using YouTube to feature videos of properties, Drive to upload disclosure packets, Voice to manage their client calls, and Blogger to create blogs on local real estate trends. Google Apps are the building blocks to create a whole new technology infrastructure for our company. Google Apps Marketplace will also play a big role at our company. Keller Williams is unique, in that our 90,000 associates are independent operators, not employees. Our agents are free to use many different technology tools to run their businesses. For example, some agents use MailChimp or ConstantContact for email marketing. With the Marketplace, our agents will be able to download these and hundreds of other business apps for use within our Google Apps universe. Our agents use the tools they’re most familiar with, and we support them in their choices however we can.